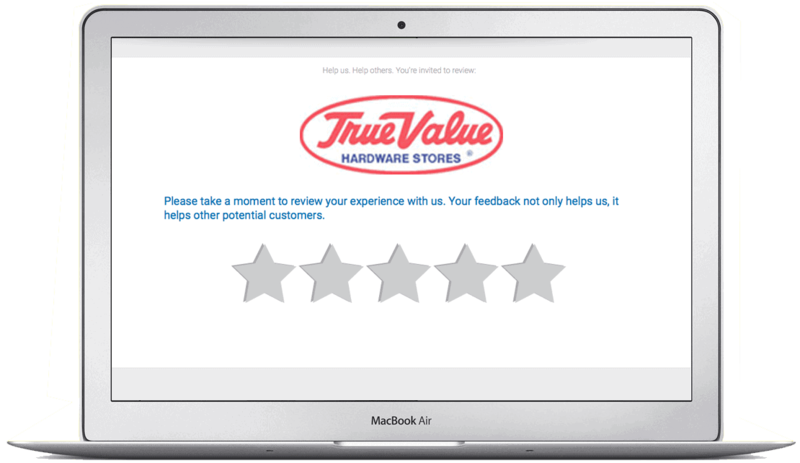 Turn your customers into raving fans on any online review site. Enter your customer's email addresses or phone numbers into the dashboard. Then sit back and watch as they respond to a single-question survey via email or text message. The survey automatically sends happy customers to the online review sites that are most important to you, and privately routes unhappy customers back to you. Easy-to-use widgets help you to get even more high quality reviews, and they allow you to show off the best reviews directly on your website. 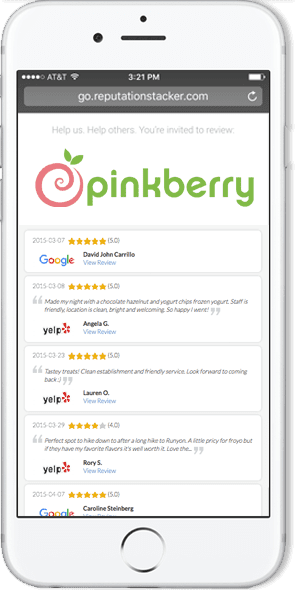 Using the widgets makes it ridiculously easy for your happy customers to post reviews, and grow your business for you. Get notified as soon as customers post reviews about your business or brand on sites across the web. From the big players to industry-specific sites, ReputationStacker covers you. Let the system filter and choose which reviews to display on your website and stream to your social media accounts. 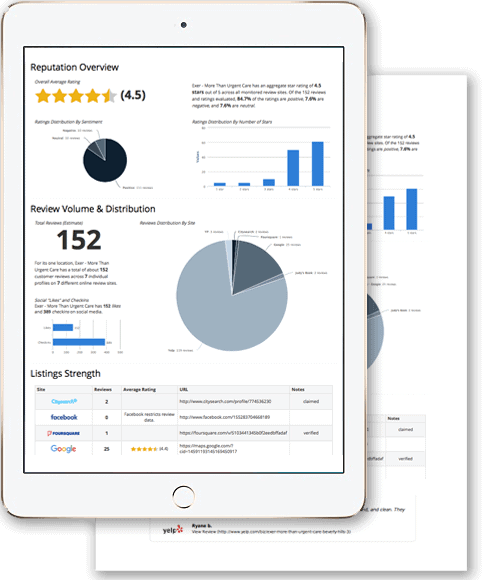 Easily see the data that is most important to you for getting more reviews and generating more business. With a couple of clicks you can automate reports so that you and your team receive them in your inbox on a regular basis. "I tried online advertising, social media, everything you think you're supposed to do. Then I gave ReputationStacker a shot and I was blown away at how easy it was to get reviews. Just a few extra reviews on Facebook and Google boosted my business." "In the service industry we live and die by what people say about us online. Getting consistently good reviews is vital. Since I started using ReputationStacker my positive reviews on Yelp have tripled in four months." For most businesses, ReputationStacker pays for itself with just one additional customer a month. It's that easy and effective. So what are you waiting for? Start today! Start getting more online reviews right now. Click the button below to choose your features and start immediately. Manage multiple business locations? Just choose a plan to get started, then it's easy to add and manage additional locations.